(Disclaimer: This was an April Fool’s Day post—there are a couple of clues, but the main one is the acrostic formed by the first letter of each bullet!) This is the most difficult post I’ve ever written, because I’ve decided it’s time to quit freelancing. I’d need several thousand words to explain exactly why, but what follows is a basic overview of my reasoning. Awful freelance jobs. I’ve been freelancing for almost 17 years now, and the decrease in the quality and quantity of freelance jobs is appalling. Good clients are too far and few in between, and it’s not worth the effort to find them anymore. Pricing pressures. Content mills and bidding sites in particular have ruined the pricing structure in our industry, but it’s also all of the freelancers who are willing to work for pennies on the dollar who are responsible for the downward trend. I feel like I’m swimming against the tide when I try to get a decent rate—and a lot more people are saying no. Retirement. No, I’m not that old, but at my current pace, I can’t possibly save enough money to retire on by freelancing. I’m confident that a more traditional job, with a steady paycheck and all the other perks, will be a much better way to get there. Interest level. I’ve always joked about how I could tell I liked freelancing because the longest I’d ever held a corporate job was about 3 years, and I passed that many moons ago. But I have to be honest with myself: I’m just not that excited to do freelance projects anymore. My dreams of being a professional baseball player may be long gone, but it’s time to do something other than be a freelance writer and editor. Lost clients. I feel like I jinxed myself on this one by writing about freelance client diversity a few weeks ago. But this one, paired with the lack of good jobs mentioned in the first bullet, have made it difficult to keep my head above water. Freelancing isn’t all it’s cracked up to be. We all talk about how great the freedom of freelancing is, and that’s probably one of the aspects I’ll miss the most. Freedom comes with a flip side, however, which is a ridiculous amount of responsibility! Other job opportunities. If you’re on LinkedIn, you probably get those blast emails about jobs in your local area like I do. 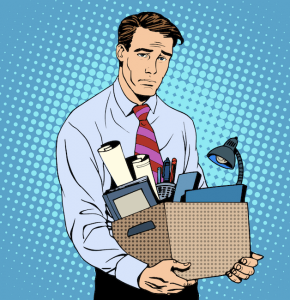 Unlike the quality of freelance jobs, it seems like the corporate ones keep getting more and more enticing—enough so that it’s time to quit freelancing. I’d be a fool to ignore those opportunities. Other interests. This is tough to admit, but I feel like I’m getting writer’s block more often. And let’s be honest: Editing is pretty boring unless you’re doing it on a really good book. So, it’s time to use the other parts of my brain. Lost revenues. This one is probably attributable to the jinx factor, as well. I regret having written that semi-scathing post about the Freelancers Union’s #FreelanceIsntFree campaign. I recently suffered a nonpaying client, and I’ve come around to the idea the government absolutely should get involved in helping freelancers get paid. It’s not only the best answer, it’s the only answer. Simplifying my life. In retrospect, it’s been a good run. But between freelance writing and editing clients, helping authors get published, writing my own books, and running this blog, I’ve hit the breaking point. It’s time to quit freelancing, simplify back to a steady 9-to-5 job, and get rid of all the clutter. 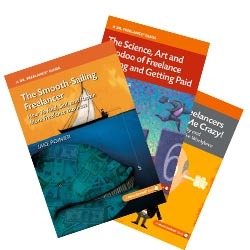 My books about freelancing will still be available on Amazon, and I will keep this blog running through the end of my hosting plan and/or the domain name, whichever comes first. I can’t remember. I think I may insert APRIL FOOLS in the headline after today! Well played, Jake, well played. Very clever post, Jake! You make excellent points for a serious article as well. Thank you, Debra! Based on some of the feedback I received today, I’m going to do a followup post next week. Your points are so well taken that I was completely bamboozled. I believed you! But in spite of it all we keep on plugging, don’t we?! Indeed we do. Happy April Fool’s Day, Leslie! Thanks for commenting, dyb. My reasons for leaving the 9-5 world are still just as vivid ~17 years later!